Andrew leads on the development and delivery of the £40 million ‘Discover England Fund’ to ensure ‘bookable’ English regional product is being created for international markets that will also benefit domestic tourism. He is responsible for developing an England Action Plan that focuses on the Discover England Fund and on business visits and events tourism. Our England Division is the leading face and voice for England, developing and overseeing the ‘Discover England Fund’ and the ‘England Action Plan’. The fund aims to grow tourism to the regions of England and increase the competitiveness of England’s tourism offer and ensures that tourism products are developed in line with market trends and consumer demand. The division is also responsible for SME engagement, enhancing and improving the quality schemes and providing business support. 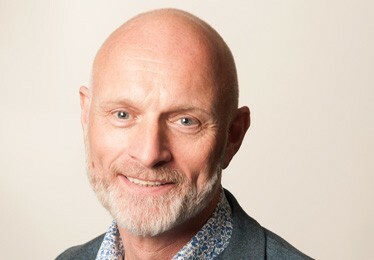 Andrew Stokes joined VisitEngland in 2016 as the England Director. Prior to this he spent 16 years as CEO of Marketing Manchester. He worked on the 2002 Commonwealth Games and the creation of a major events strategy for the city region. He bid for and chaired Euro Pride in 2003. He also co-ordinated the strategy for both the acquisition of major political conferences and in conjunction with Manchester airport, its route development strategy. Andrew has also held leadership roles within the former London Tourist Board, the Royal Opera House and the Royal Albert Hall. He also sat on the boards of Manchester International Festival and Manchester Central Convention Complex.